VR provider A.I Solve has announced the appointment of James C. Ram, president of the Americas, effective immediately. He will have responsibility of growing the company’s operations in the Americas and will report directly to the company CEO, Devi Kolli. “Potential of virtual reality is about the convergence of technologies – never about VR itself. 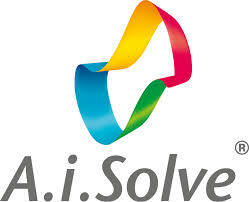 AiSolve is a place where I instantly connected with its vision as it offers a natural home for such convergence. The team here are extremely talented and constantly stretch the boundaries of AI, VR and MR be it for entertainment, training or education. I am excited and honored to take on this role and look forward to working with Devi and our talented senior leadership team to deliver on A.I Solve’s goals and vision for exponential growth within The Americas,” said Ram.